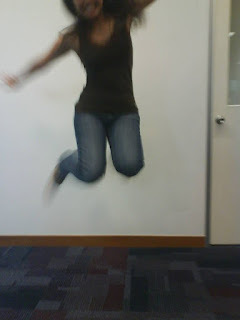 My first semester at Monash University is officially over! Thank God for sustaining me these four months, and for His overwhelming peace and wisdom through mental-blank and scatter-brained days, dreadful deadlines, never-ending to dos, and hunger pangs. Can't believe there's only a half year left. So now it's time to watch all those movies, and do whatever I want however I want for four weeks. Wow I miss those days. LOL.